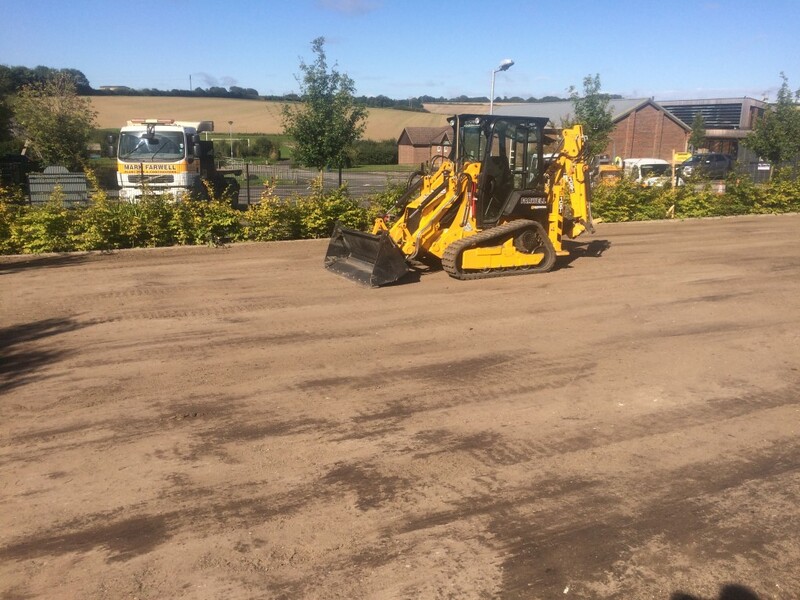 Here is a pic of our new JCB 1CXT digger in action grading a car park in Pimperne, Dorset. This machine is excellent for this job as it is able to offer even compaction by tracking in the material at the same time as grading. Its compact size also allows for good manoeuvrability in tight corners.